Students attending Universidad Tamaulipeca can now pursue the same degree plan at South Texas College and study on both sides of the border. Rio Grande Valley colleges are promoting access to affordable, nutritious food for students. In late 2013, the first Texas Affordable Baccalaureate Degree was launched by Texas A&M-Commerce and South Texas College. 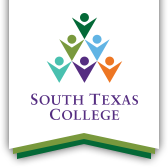 South Texas College offers over 120 different degrees, many of them preparing students for careers of the future. MCALLEN, RGV – Carlos Margo, associate dean for industrial training and economic development at South Texas College, has given a shout-out to the Texas Workforce Commission. In particular, Margo has thanked TWC Commissioner Julian Alvarez, and the agency’s apprenticeship director, Desi Holmes. Margo said TWC had recently approved a grant totaling almost $200,000 for STC. El nuevo centro de seguridad pública del colegio universitario South Texas College abrió sus puertas a cientos de estudiantes para motivarlos a estudiar una carrera en seguridad y ley y orden. In June 1993, then Texas Gov. Ann Richards signed legislation creating South Texas Community College, converting the former Texas State Technical College campus in McAllen into a local governed community college serving Hidalgo and Starr Counties. The opportunity to bring South Texas College graduates more affordable master’s degrees and additional certificates is in the making though a sprouting partnership with Western Governors University. South Texas College President Shirley A. Reed says dual credit is transforming the Rio Grande Valley. MCALLEN, RGV – South Texas College leaders say they were honored to have U.S. Secretary of Labor Alexander Acosta present as they signed on as an official apprenticeship sponsor with the federal agency. South Texas College’s Mid-Valley Campus Library Art Gallery presents “Hydrogen, Oxygen, Carbon,” an exhibit featuring charcoal drawings by artist and STC faculty member Luis Corpus Oct. 8. South Texas College está celebrando sus 25 años en la educación en los condados Hidalgo y Starr. PHARR — With the inauguration of South Texas College’s first campus in Pharr, the Regional Center for Public Safety and Excellence, came the opportunity for local high schoolers to attend classes alongside current and future law enforcement professionals. South Texas College’s Regional Center for Public Safety Excellence is the first of its kind in the nation. Oficiales de la Policía de South Texas College (STC) están recibiendo entrenamientos para enfrentar situaciones de alto riesgo y responder conforme a la ley con la tecnología más sofisticada. Doubts of Shirley Reed’s ability to fledge the first community college in the Rio Grande Valley more than two decades ago did not discourage her. Instead, she remembers these as an important aspect of South Texas College’s flourishing. Dr. Shirley A. Reed, president of South Texas College, says her pioneering work in developing a robust dual credit program with high schools in Hidalgo and Starr counties has been vindicated by a new study from the UT System. This weekend South Texas College theater students presented “Columbinus,” a two-hour unique production reenacting the devastating events of the Columbine High School shooting and how it possibly could have been prevented. Grainger, a leading broad line supplier of maintenance, repair and operating products, has donated $6,000 worth of tools that will then be distributed to students through the college. Grainger has be a constant supporter of South Texas College’s students for several years. The 12th Annual Ceramics Exhibition and Conference, ‘Continued Connections. Variable Directions.’ will be on exhibit from June 4 to August 8, at the Pecan library art gallery and June 4 to July 5 at the Building B art gallery. STC’s three-day South Texas Ceramic Showdown will begin with an opening reception on June 20 at the Pecan Campus library. A new state-of-the-art Nursing and Allied Health facility, complete with a simulated hospital wing, was unveiled by South Texas College on Tuesday as students exhibited the facilities’ more sophisticated functions and features. You'll need to confirm your subscription with the email you provided.